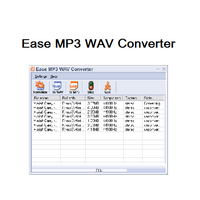 Ease MP3 WAV Converter is a software which directly converts audio files from MP3,OGG,WMA to WAV or from WAV to MP3 . It converts the audio files digitally-not through the soundcard-which enables you to make perfect copies of the originals. 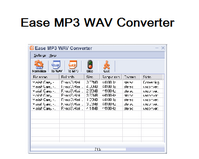 You can convert MP3 or OGG or WMA to WAV, so you can burn your own CD audio.